While for many people the concept of grooming your pet conjures up notions of brushes and bows, it is in fact a vital element to their overall health and wellbeing. Regularly grooming your animal allows you to catch any underlying diseases or conditions early, meaning that they will be able to be treated quicker and more efficiently and will therefore be less likely to have any lasting effect on your pet. 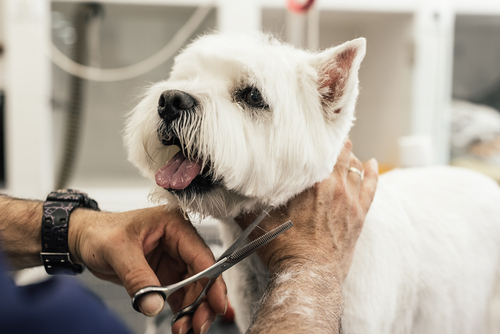 However not all animals enjoy the grooming process and many owners find that it is easier to send their pet to a professional groomer on a regular basis instead. If you have a puppy or a kitten then training them to ensure the grooming process is an important part of their learning and will be beneficial to them as they reach maturity. This is especially true of nail clipping and ear cleaning which require them sitting completely still for the process. Good breeders will often begin grooming their litters as soon as they are old enough to help get them used to the process. Even if you do opt to use a professional pet groomer, there are still a number of regular grooming techniques that you can do at home with your pet to strengthen your bond. Here are some of the important benefits of pet grooming. Quite often misconstrued as the only part of grooming, brushing is still a huge element of the process. Regular brushing removes dirt, dandruff and dead hairs from your pet and in kittens and cats can also cut back on the number of hairballs that they ingest. It also prevents tangles and matting which can lead to pain and infections. Brushing also stimulates the natural oils in your pets’ fur, which are then spread across the coat leaving it with a glossy and healthy sheen. When brushing your pet you will be able to do a thorough examination of its skin, identifying any issues such as ticks, fleas, bald and dry patches. Any swellings or other abnormalities will also be easier to feel. Ears can be a concern for a number of different breeds who are more susceptible to infections and parasites. They should be clean and odor-free. Anything that looks red, swollen or has an unpleasant smell, plus any sign of infestation by mites or ticks, should be examined by a veterinarian as soon as possible. Eyes can also be prone to infection if the hairs around them are not kept trimmed. They should be bright and clear. Any watery eyes or anything that looks sore should also be checked by your veterinarian. Regular teeth brushing is the only way to help combat periodontal disease, and if your pet has bad breath then it is a sure sign of a dental problem. Your vet will be happy to recommend specialist pet toothbrushes and toothpaste – just ask! 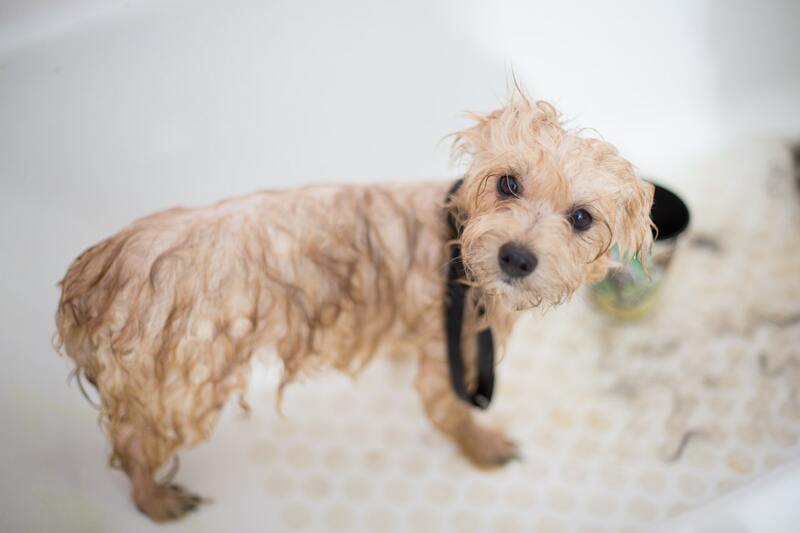 Bathing your pet too often can actually have a detrimental effect on their health as it strips all of the natural oils from their skin, leaving them with dry, itchy patches which when scratched could then cause infection. That said, some washing is needed to ensure that your animal remains clean and germ free. Ask your vet what sort of bathing schedule they would recommend for your breed of dog. Pets can have extremely sharp nails which, if not frequently trimmed, can cause serious injury. Regular trims can reduce the risk of injury, stops them getting caught in carpet or other upholstery, and prevents the likelihood of in-growing nails. For older pets it can also ease arthritis and other joint pain. We hope that this article has helped highlight the importance of grooming your pet for its overall health and wellbeing.